I have accomplished 14 years of experience from working on commercial and industrial HVAC equipment as an employee with the Atlanta Public School System. I have also worked with natural gas and have many hours of training from working with pressure testing gas lines for leaks. I also have many years of experience with residential and commercial installation of electrical / heating / Air Condition repair / renovations and upgrades. "We get many satisfied and repeat customers with new work and new projects, and we also work with other highly trained technicians to eliminate the source of the problem thus eliminating costly call backs." We perform service and preventive maintenance for property managers as well as do complete and full installation and upgrades. We are a small southern company endeared with the simple belief, "that good honest service, earns life-long customers." We are state licensed, insured and have served the metro Atlanta area since 1992. We will not sell you any false promises about your equipment. If it need to be replaced and is not worth the cost of repair, we will inform you. 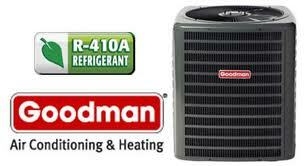 We accept all major credit cards and personal checks.Call us today for your HVAC and electrical needs. "PROVEN EXPERIENCE GOES IN BEFORE THE NAME GOES OUT"